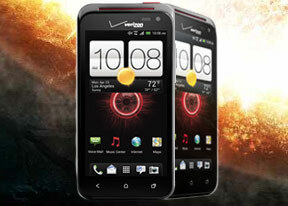 The Qualcomm Snapdragon S4 in the HTC DROID Incredible 4G LTE is just a solid a performer. Due to its newer architecture, it is a force to be reckoned with even in the underpowered state, found in the DROID. The Benchmark Pi result of the DROID Incredible 4G LTE is among the best we've seen to date. Linpack tested in multi-threaded mode on the other hand, showed that two Krait cores outdo the Tegra 3 quartet even when slightly underpowered. The 3D graphics department is handled by Qualcomm's Adreno 225 GPU. Unsurprisingly, the DROID Incredible 4G LTE posted a score which was in line with its Snapdragon packing relative - the One S.
The HTC DROID Incredible 4G LTE is certainly one of faster phones currently on the market - there's no test in the mobile world it can't pass with commendable results.